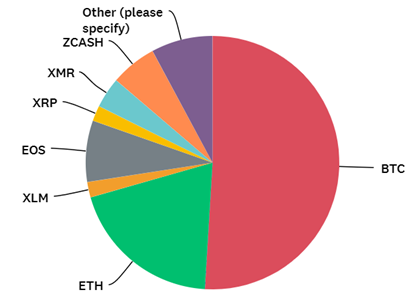 I surveyed 51 people who live and breathe crypto. The goal of the survey was to better understand the near-term market sentiment from people on the front lines. 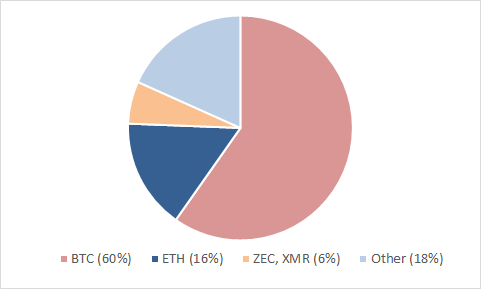 Everyone who participated in the survey is professionally involved in the crypto ecosystem with the following breakdown: 33% are crypto VCs, 29% are crypto hedge fund managers / traders, 20% are crypto entrepreneurs and 18% are crypto researchers / enthusiasts. 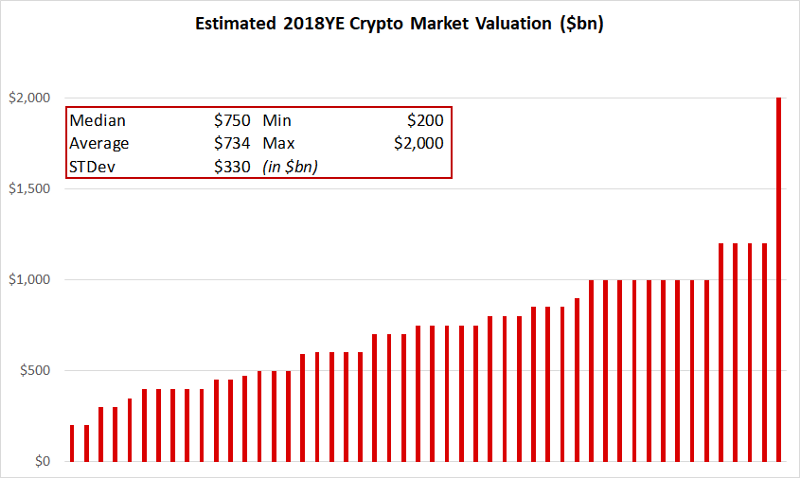 Q1: The crypto market is valued at ~$300bn today. What is your prediction for where it ends 2018? Q2: Near-term sentiment: for Q2 2018, how are you feeling about the crypto markets? 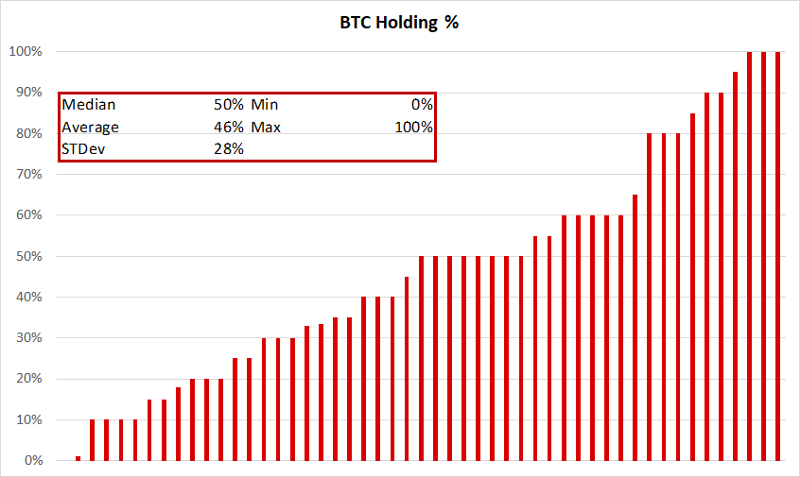 Q3: What % of your crypto holdings is Bitcoin? 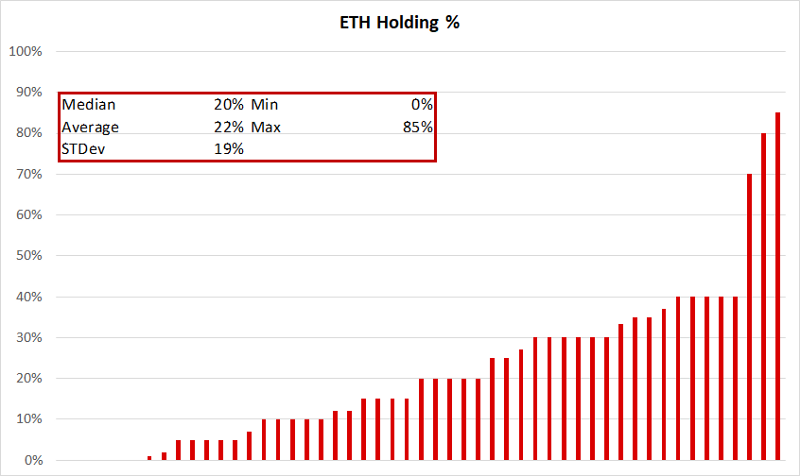 Q4: What % of your crypto holdings is Ethereum? Q5: What cryptoasset are you most bullish on for 2018? Q6: Which alt coin (non-BTC, BCH, ETH) are you most bullish on for 2018?